Steam is usually applied to the top side of the sheet and vacuum can be used under the fabric to help pull the steam into the sheet. A profiling steam box can use cross direction moisture data to control valves so more steam is applied to wet zones and less steam is applied to dry zones. Steam boxes can be used in different locations depending on the machine and paper grade. Sometimes a non-profiling steam shower above the Fourdrinier can enhance the performance of a profiling steam box in the press section. 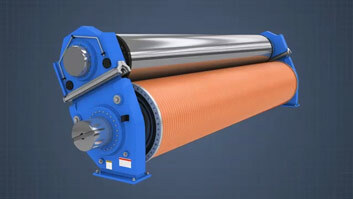 On a paper machine, the sheet dryness after pressing is important because it is more economical to remove water by mechanical means at the wet end than by evaporation in the dryer section. 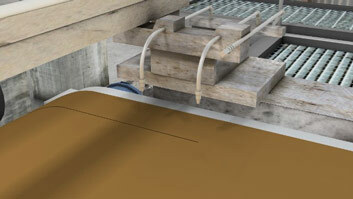 One way to increase after-press dryness is to increase the temperature of the sheet when it is pressed. 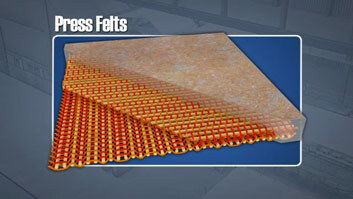 Increasing the sheet temperature reduces the viscosity and surface tension of the water contained in the sheet. This reduced viscosity makes it easier for the water to travel out of the sheet, which increases the dewatering capacity of the press. A common way to raise the sheet temperature is to apply steam with a steam box on the wet end of the paper machine. What is the purpose of a steam box? Steam boxes are used to increase the after-press dryness of the paper by increasing the temperature of the sheet. What is the difference between a profiling and non-profiling steam box? 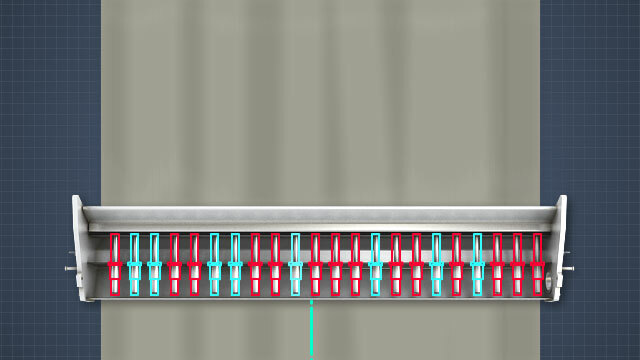 Profiling steam boxes are divided into sections across the width of the machine. The steam flow to each section can be adjusted to produce a uniform CD (cross direction) moisture profile. Non-profiling steam showers apply steam evenly across the entire width of the machine, so while they do improve dewatering, they cannot address moisture streaks. Why are steam boxes usually positioned over vacuum boxes or opposite vacuum rolls? Vacuum helps pull the steam through the sheet so that it condenses in the sheet and not just on the surface. The goal is to have a uniform sheet temperature. 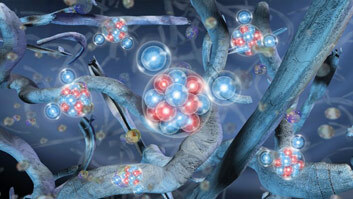 What variables affect heat transfer efficiency? Steam box heat transfer is affected by basis weight, sheet permeability, sheet moisture, and initial sheet temperature. 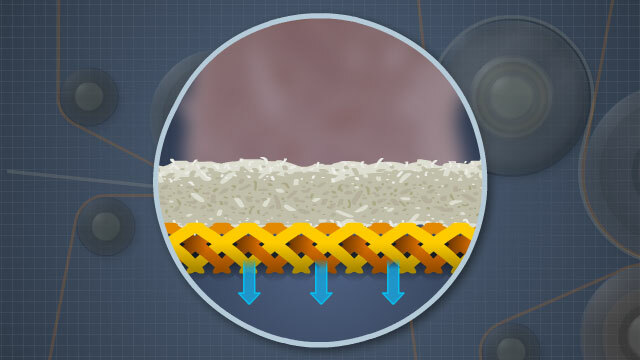 Heat transfer is also affected by steam flow, the distance to the sheet, vacuum level and position, and the dwell time. What is the impact on total machine drying efficiency? Even though steam boxes use steam, total paper machine steam consumption usually decreases. For every pound of steam used in the press section, up to 3 pounds less steam is needed in the dryer section. 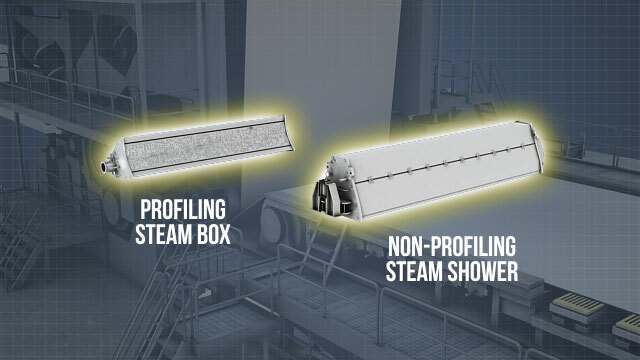 A typical profiling steam box consists of a steam supply header and a distribution chamber with a perforated plate facing the paper sheet. The distribution chamber is divided into several zones. 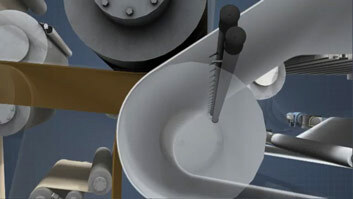 Each zone has an automatic valve that controls the flow of steam from the header into the distribution chamber. 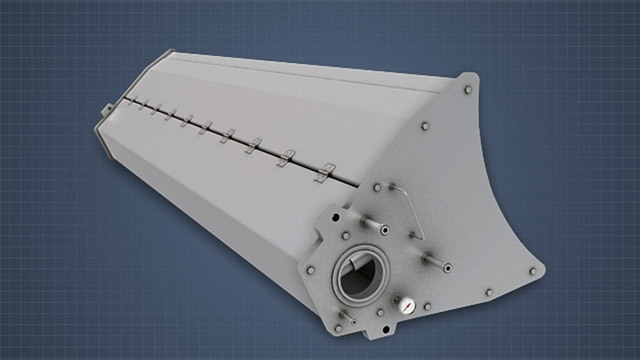 A downstream moisture scanner is typically used to measure the paper moisture. The moisture profile data is then used to control the valves, so more steam is applied to wet zones and less steam is applied to dry zones.